The 2017-18 NHL season was iconic with the success of the expansion Vegas Golden Knights in their inaugural campaign. They finished the regular season with 109 points, won the Pacific Division, and reached the Stanley Cup Final, an achievement four franchises have yet to reach. Vegas won in large part because many of its players took steps forward and had career seasons. At last year’s Expansion Draft, many GMs overthought the process by protecting veterans and even giving up assets to protect additional players, not understanding the talent on their rosters. The Expansion Draft process created a change in roster evaluation throughout the league, as front offices want to know exactly who a player is before parting with him. This means giving players more opportunity to succeed through increased ice time, better matchups within games, advantageous zone starts, and playing them with better linemates. Vegas’s William Karlsson was an example of a player who thrived in an increased role. With the Columbus Blue Jackets, Karlsson never averaged more than 14 minutes and 28 seconds of ice time and had career-highs of nine goals and 25 points. However, with Vegas, Karlsson averaged nearly 19 minutes of ice time, played on the top line, and had 43 goals and 78 points. 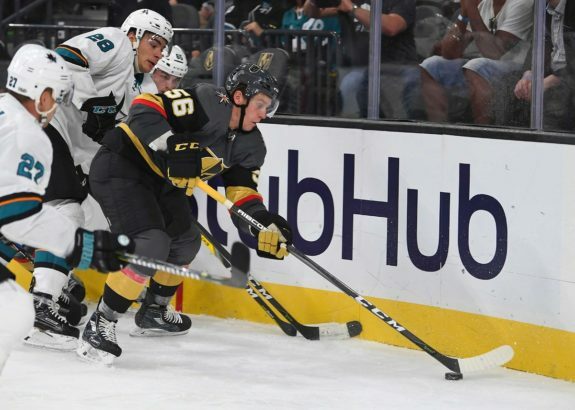 His breakout, along with other Golden Knights players, has the hockey world trying to find the next underutilized player poised for a breakout. *Note: All player ranks are among players with at least 250 but less than 1,000 minutes. Rate stats are often reliable predictors of future success, especially per-60 stats. Goals-per-60 (G/60) and points-per-60 (P/60) are the number of goals or points scored per 60 minutes of ice time. They are useful as predictors because they don’t take into account how much time on ice a player had. Therefore, while a player who skated 250 minutes won’t have the same totals as a player with 1,000 minutes, if their rate stats are similar, the player with less ice time could develop into a key contributor with increased playing time. So a player with high per-60 stats at low ice times could become a breakout player with an increased workload. Of course, there are other factors at stake than just increased playing time, including linemates, matchups, power-play time, and shooting percentage. Using per-60 stats, there were many examples of players who had high rate stats in 2016-17 with low ice time and thrived in 2017-18 with a bump in minutes or a return to health. In 2016-17 with the Minnesota Wild, Haula scored 16 goals and 26 points in 72 games while averaging just under 14 minutes per game. In total, he played 995 minutes that season and averaged 0.90 G/60 and 1.57 P/60. After Vegas took him in the Expansion Draft, he played 76 games with the Golden Knights and had career-highs of 29 goals and 55 points. In 2017-18, he averaged 17 minutes and 22 seconds, nearly four minutes more than in 2016-17. He played 1,319 minutes in 2017-18 and averaged 1.32 G/60 and 2.50 P/60 while his shooting percentage rose over five points. In 2016-17, Haula ranked 48th in P/60, and in 2017-18 Haula dropped to 76th despite his P/60 rate rising. Haula is interesting because he was better in nearly every aspect in 2015-16 than in 2016-17, and regressed to some of his lowest totals in 2016-17 despite having a respectable P/60 rate. His bump in playing time by moving to the second line for Vegas allowed him to thrive. Gallagher scored a career-high 31 goals in 2017-18 and played all 82 games just one season after he missed 18 games and only netted 10 goals. In 2017-18, his G/60 rate was 1.40, more than double the 0.62 G/60 he had in 2016-17. His points followed a similar path. In 2016-17, he had 29 points for an average of 1.80 P/60 and in 2017-18 he had 54 points for a rate of 2.45 P/60. Related: Could Gallagher Dominate in 2018-19? His resurgence was the result of two aspects. One was playing a full season for the first time since 2014-15, and the other is that his shooting percentage more than doubled from 5.3 percent in 2016-17 to 11.2 percent in 2017-18. 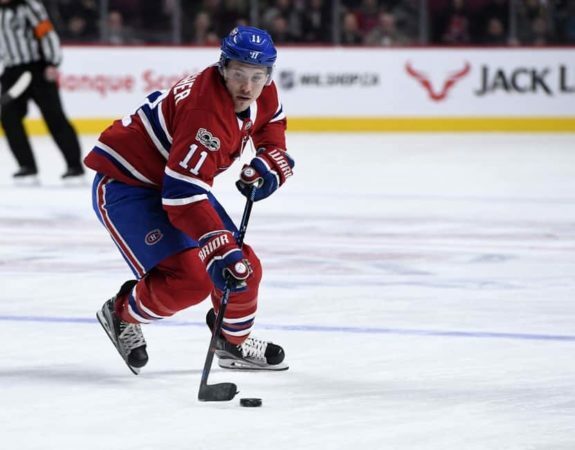 Following the 2016-17 season, after he had regressed from 19 goals and 40 points in fewer games in 2015-16, teams likely could have pried Gallagher from the Montreal Canadiens at a cheap price. Despite missing time and sporting a career-worst shooting percentage, his per-60 rates were decent as he ranked 30th in points-per-60. A return to health and a rebound in shooting percentage led to Gallagher having a career year in 2017-18. In an effort to learn which players could have breakout seasons in 2018-19, I found five players with lofty per-60 rates in 2017-18 but who were kept low on the depth chart and played few minutes. The Boston Bruins dealt winger Ryan Spooner to the New York Rangers as part of the deal that sent Rick Nash to Boston. In 59 games between the two teams, Spooner had 13 goals and 41 points while averaging 12 minutes and 18 seconds. He played a total of 902 minutes and averaged 0.86 G/60 and 2.66 P/60. Compared to his 2016-17 season when he averaged fewer minutes per game but played more games and thus more minutes overall, Spooner’s per-60 rates were significantly higher in 2017-18. His 2.66 P/60 was second behind only Jeff Carter. 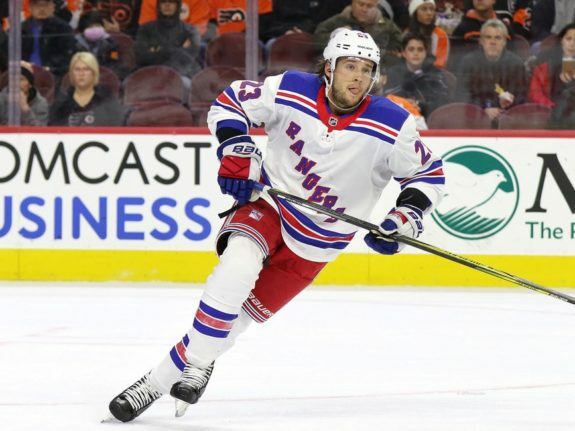 Spooner will start the 2018-19 season as a 26-year-old, and, assuming the Rangers indeed retain him as a restricted free agent (RFA), he would figure to be an important forward on a rebuilding Rangers roster. With the potential of top-six minutes, don’t be surprised if he breaks the 20-goal and 50-point plateaus. 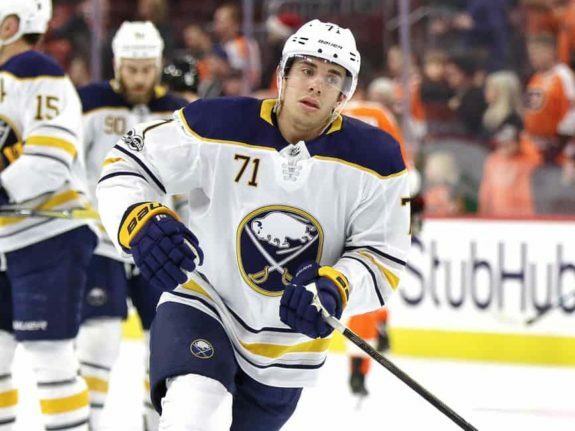 Buffalo Sabres center Evan Rodrigues is just 24 and coming off what was supposed to be his first full NHL season, but a hand injury kept him out of the lineup until Dec. 5. In 48 games, Rodrigues finished with seven goals and 25 points, both career-highs, while averaging 13 minutes and 56 seconds, totaling 669 minutes for the season. Those totals equaled averages of 0.63 G/60 and 2.24 P/60, much higher than the .62 G/60 and 0.93 P/60 averages he had in 2016-17 in 30 games. Rodrigues’s 2.24 P/60 rate in 2017-18 was the eighth-highest and ahead of Nino Niederreiter, Andre Burakovsky, and Ondrej Palat. Rodrigues has a productive history and posted 21 goals and 61 points in 41 games in his final season at Boston University. That and ample opportunity for Rodrigues to get playing time could lead to a breakout season. It also helps that Rodrigues was a teammate with current Sabre Jack Eichel at B.U. and taking advantage of that connection could bode well for the former. Prior to the 2017-18 season, winger Brendan Leipsic had six NHL games under his belt, all in 2015-16. 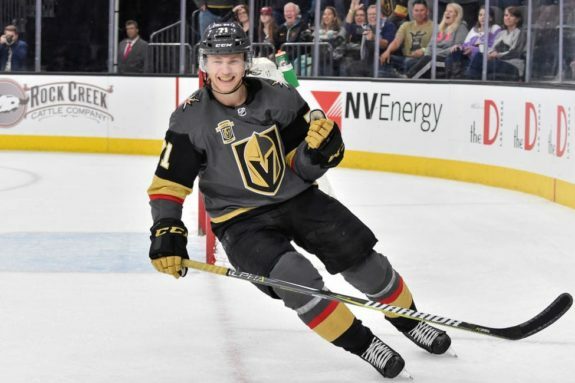 The Golden Knights selected Leipsic from the Toronto Maple Leafs in last year’s Expansion Draft, and he played in 44 games with Vegas before a deadline deal sent him to the Vancouver Canucks. In total he played in 58 games in 2017-18, averaging 13 minutes and eight seconds and accumulating 762 minutes. Leipsic posted five goals and 22 points in those 58 games and averaged 0.39 G/60 and 1.65 P/60. The majority of his production occurred as a Canuck, with whom he netted three of his goals and nine of his points in 14 games. Like Rodrigues, Leipsic has a history as an offensive performer, finishing as better than a point-per-game player his final two seasons in the WHL and he had 18 goals and 51 points in the AHL in 2016-17 with the Toronto Marlies. 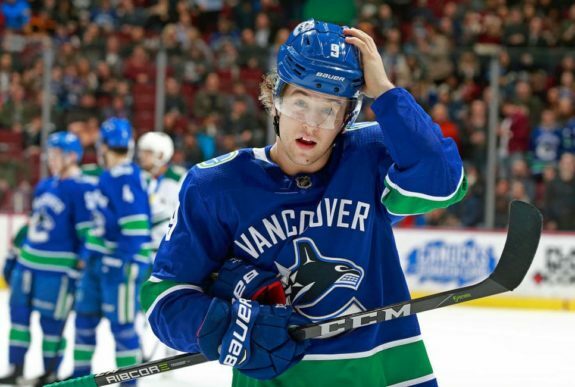 Like the Sabres and Rangers, the Canucks are a rebuilding team with roster spots up in the air and Leipsic should get a chance to cement a top-nine role in 2018-19. Leipsic is only 24 and shot just 5.3 percent in 2017-18. He is due for a rebound in the category, so a breakout from him is a possibility. Perhaps the most Italian-sounding name in the league, Carolina Hurricanes winger Phillip Di Giuseppe bounced back in 2017-18 after a down year in 2016-17. In his age-24 season in 2017-18, Di Giuseppe posted five goals and 13 points in 49 games while playing bottom-six minutes. Those totals led to averages of 0.58 G/60 and 1.52 P/60 while totaling 515 minutes. Di Giuseppe is unlikely to develop into a top-line scoring threat because he was never a point-per-game player in college or in the AHL. However, he posted the second-highest goal and point totals of his career while averaging his lowest time on ice. Perhaps more than any other team, the Hurricanes are open for business, and no player besides Sebastian Aho and likely Martin Necas are safe. 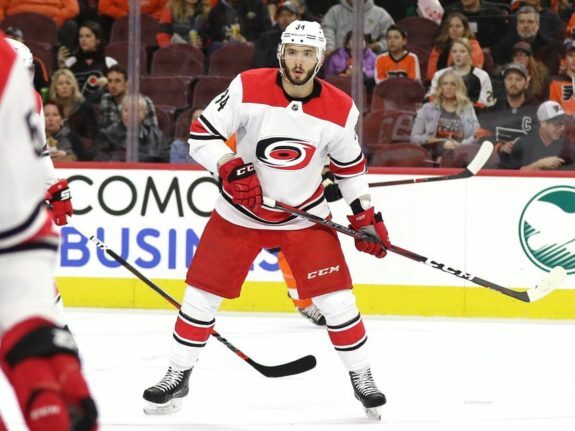 So either a rebounding team could acquire Di Giuseppe and give him a chance to prove himself, or he remains a Hurricane and works to carve out a role for himself. 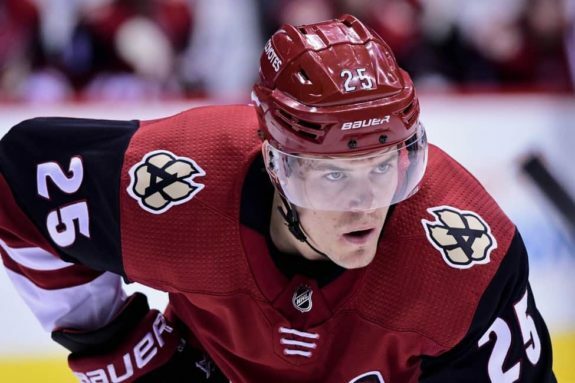 The Philadelphia Flyers traded forward Nick Cousins to the Arizona Coyotes last summer, and his 71 games in 2017-18 were a career-high. In response to increased playing time and opportunity, Cousins turned in his best performance with 12 goals and 19 points while averaging just under 13 minutes, totaling 913 minutes. His 0.79 G/60 and 1.25 P/60 were third and fourth on the team, respectively. With his new team, Cousins excelled and rewarded the Coyotes for taking a chance on him. It is easy to predict that if Cousins continues to receive more playing time, with the Coyotes or elsewhere, he could reach the 20-goal mark, especially if he played a full 82-game season. *All stats came from Corsica and Elite Prospects.